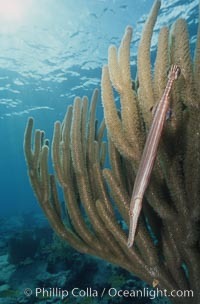 Trumpetfish camouflages itself among the branches of a gorgonian coral (also known as sea rods). 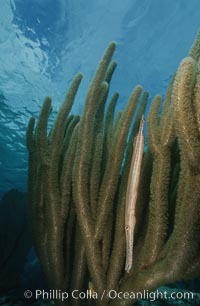 Sea rod soft coral, Plexaurella sp Photo. 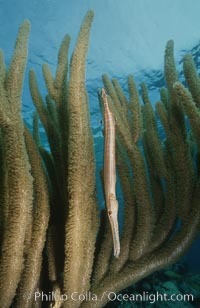 Trumpetfish camouflages itself among the branches of a gorgonian coral (also known as sea rods). 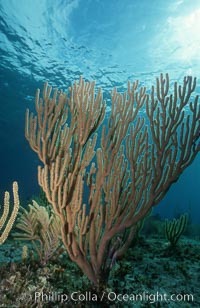 Sea rod soft coral, Plexaurella sp Picture.